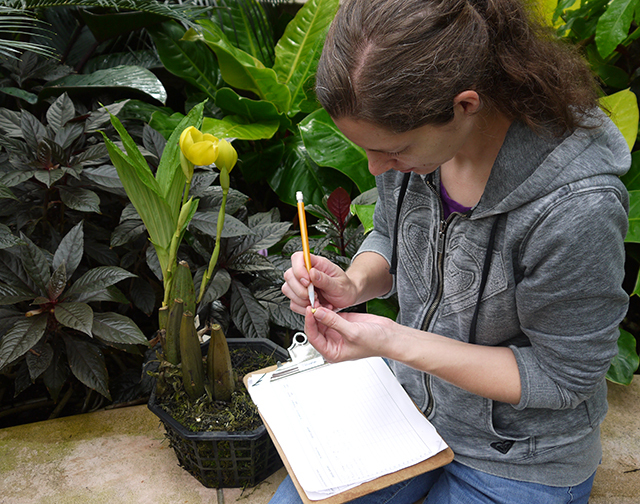 A big priority for us this year has been to pollinate some of the choicest orchids in our collection. We have two goals. 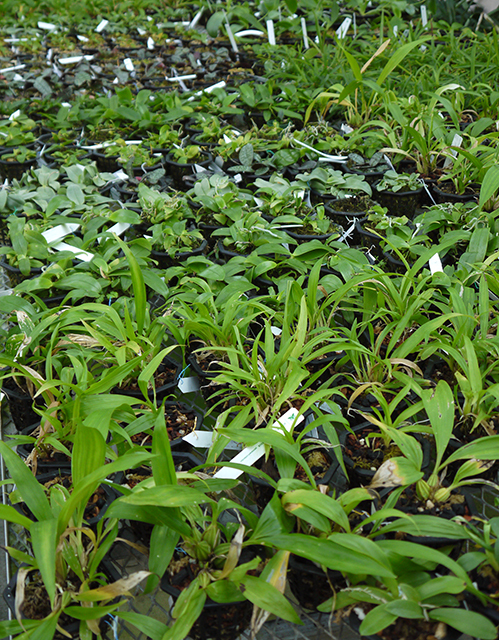 The first is to generate more plants for installation in the Fuqua Orchid Center. 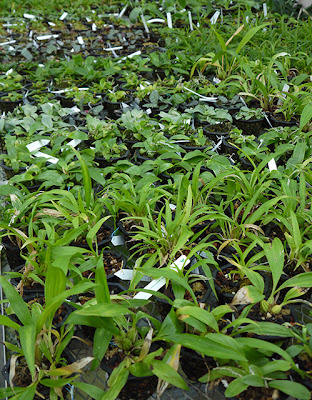 The second, and more important, is to reinvigorate our collection by producing healthy young seedlings. 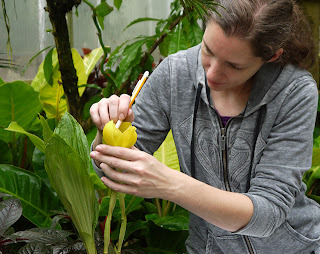 Selfing, or fertilizing a plant with its own pollen, is simple and can produce a reasonable percentage of vigorous orchid seedlings. But many rare orchids in collections today are highly inbred, the result of many generations of selfings. 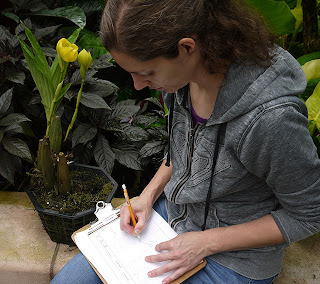 Some are the descendants of just a single plant collected in the wild decades ago, before CITIES restricted importation. 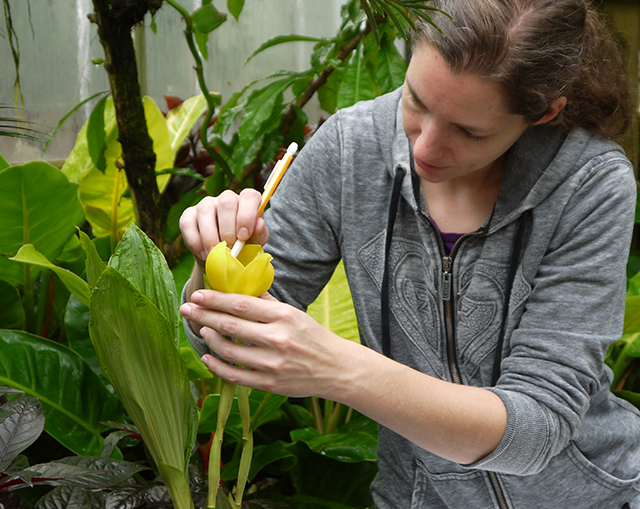 Unfortunately, an inbred plant often grows poorly, a tendency that becomes more pronounced with age. 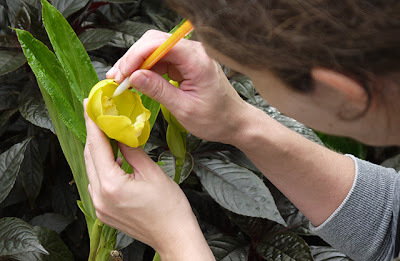 Any plant that is maintained in a collection for many years needs to be vegetatively propagated by cuttings or division at intervals in order to provide replacement material. But when inbreeding contributes to its decline, then performing an outcross (i.e., use genetically different parents to produce seed) can be the best way to obtain healthy offspring while preserving some of the original genes. 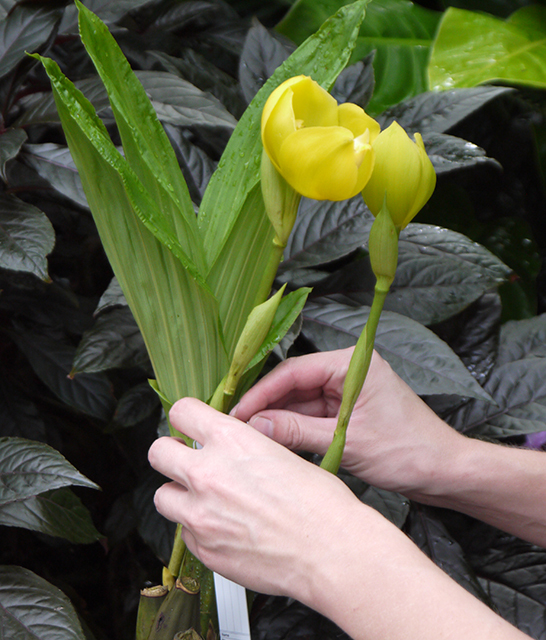 Outcrossing introduces new genes into the next generation and means that more offspring will be vigorous. In upcoming posts we will follow the development of some of our pods.